You’re likely doing something this 4th of July, and it’s a very popular time of year for road trips. Whether you’re taking just a day or trip or a more ambitious three-day vacation, check out the information below. Before you get in it and lose yourself in the freedom (see what I did there) of the open road, it helps to be as prepared as possible. Only 19% of consumers actually consistently check how well their tread is faring which is a shame. Tires generally go about 4,700 miles farther when you have proper inflation, and can save you up to 9 cents a gallon. Also, almost 11,000 accidents are caused by poor tires. That’s why we’re happy to give you an easy upkeep solution. Seriously, who is thinking about their tire tread? What does 4/32″ inch even mean? Forget the measurements, forget breaking out a ruler or your phone to measure something way too small to even really think about. Grab a penny (see, they’re useful for some things) and place between your tire tread. It should be upside down with honest Abe’s head facing you. If you can see all of his head, then it’s bad news bears. Your tire tread is way too low and needs to be replaced pronto before you risk having a holiday accident because your traction is totally lame. Or, if you only have quarters then insert that into the tread, following the same rules as the penny (upside down, honest Washington’s head facing you.) If the tread goes up to the start of his hair and beyond, then congratulations! Your tread is good to go. There’s also a traction indicator on your tire, and it looks like a little bar connecting the patterns in the tread. There’s more than one throughout your tires, so it should be easy to find. When that indicator becomes about level with the tread itself, then that’s also a sign you should replace your tires. Word to the wise though, this test is not nearly as fun as the coin tests. 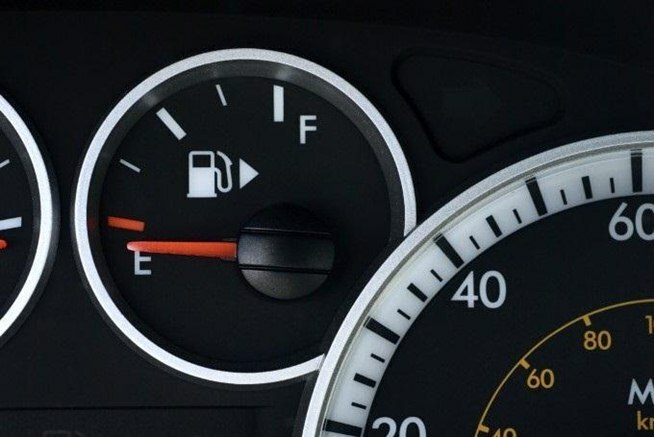 If you’re using a rental or driving a friend’s car, you can find out which side the gas cap is on as soon as you get in by looking at the gas gauge on your dashboard. You should see an arrow in the middle either pointing right or left. Voila! Now you don’t have to guess. You’ll be likely be using your phone a lot for directions, music, etc. 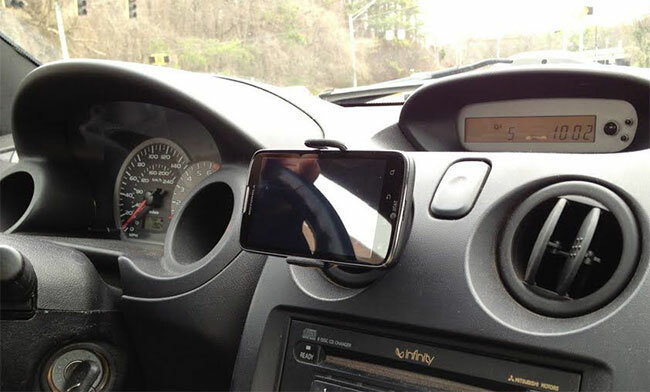 Use a large binder clip to mount your phone onto any flat surface of your car, so you don’t have to hold it in your lap or watch it slide around your dash. Bend the ‘fingers’ (metal portion of the clip) down just a tad, use a rubber band to create additional tension and then clip onto your vent and insert your phone. I’d say voila again, but that would likely just annoy you. Similar to our little arrow trick above with the gas tank, if you’re on an unknown road and aren’t sure which way to exit, look for where the little exit number is placed above the larger sign. If, for example, Exit 136A is on the right side, then you know that the actual ramp itself will be on the right side and vice versa. Use a shower caddy to stow your burgers and fries. Skip the spills and stains in your car, with this little trick. Plus, you don’t have to eat of a bag. Take a screenshot of your directions before you lose Internet connection! Use the pin feature on your navigational system when you park, so you never have to spend time wandering around again. 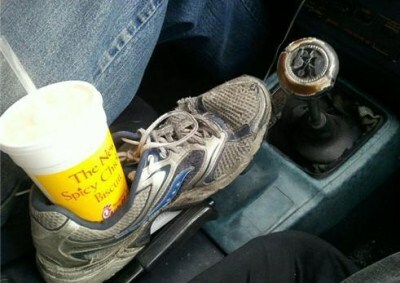 Shoes and rolls of tape make for excellent (if slightly ghetto) additional cup holders. A hoodie pulled over the eyes can let the primary or secondary driver get some well-deserved shut eye on the road. The smaller towns in particular tend to have cops who are a little… overzealous about their jobs during holiday weekends. Even a few miles over the speed limit or one second short of the appropriate stop sign rules can mean a ticket for you. And the last thing you’re going to want to do is driver back to the local courthouse to fight the ticket. 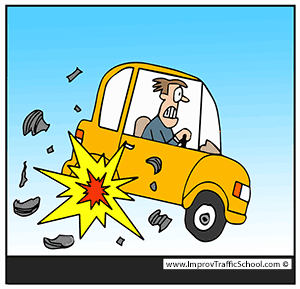 Keep your driving record safe with traffic school or a defensive driving course. The points on your license and the higher insurance rates shall not be yours. Every region will have it’s own regulations, but this will typically clear you of the ill effects of a citation. And for goodness sake, stay sober! That’s not a hack, that’s just plain common sense!